What do you think of, when you picture a wedding in Las Vegas? Most picture a glamorous and glitzy wedding on the strip. Tourists and locals alike are blinded by the bright lights and flashy buildings of the strip, but if you look past the glitz and glam Las Vegas is a shining desert jewel full of possibilities and wedding opportunities. Many engaged couples are interested in a wedding in Las Vegas, but aren’t looking to spend a large sum of money or invest in a glamorous affair. For those couples simple Vegas weddings are an option. Las Vegas is a huge city full of numerous wedding options. There is something for every prospective couple in our beautiful desert city. There are numerous reasons to pursue a simple Vegas wedding as opposed to a complicated and expensive wedding. One common reason is the ease of planning. Simple Vegas weddings usually have a smaller number of guests and worries for the prospective couple. It is possible for the happy young couple to focus on themselves and their closest family and friends. All of the heavy lifting is usually handled by the wedding company. With the typical Las Vegas “Dream Destination” wedding the couple is bombarded with worries and anxieties all while trying to make sure their getting their moneys worth. If you take the simpler approach you’ll be able to relax and truly enjoy your big day without worrying about the price tag. Speaking of price tag, another common reason couples pursue simple weddings in Vegas is the ease of cost. You can save a pretty penny planning a simple Vegas wedding. This extra saved money can be used for the honeymoon, or possibly put away for a rainy day. Not every couple has the income or means that one would commonly need for an average Vegas wedding. This, however, does not mean that you cannot have a dream wedding in our wonderful city. Many wedding businesses on the strip would have you believe that you have to shell out a considerable amount of money for a destination wedding in Las Vegas, but that is simply not the case. There are a number of beautiful venues and businesses that offer wedding packages of all prices and varieties. One such business is Lakeside Weddings and Events. Lakeside Weddings and Events offers simple Vegas weddings in a truly grand way. Lakeside Weddings and Events have a number of truly grand and inexpensive packages for any prospective couple. In addition to affordable and simple wedding packages, Lakeside Weddings and Events also boasts a beautiful location. They are located on Lake Jacqueline, a beautiful man made lake in our desert oasis of a city. Lake Jacqueline has been a gleaming gem in our desert town for years and years. Many happy couples have made Lakeside Weddings and Events their choice for a truly fantastic destination and dream wedding. There are numerous other man made lakes in Las Vegas that make for wonderful and simple wedding destinations. One very popular man made lake is Lake Mead. Lake Mead is connected to the Hoover Dam and by extension the Colorado River. Lake Mead is one of the largest and most astonishing man made lakes in the world. These facts alone make this a popular destination for simple Vegas weddings. But Lake Mead is also known for its beautiful water and fishing prospects. Lake Mead is perfect for any couple looking for a lake front wedding. Another beautiful man made lake located in the heart of Las Vegas suburbia is Lake Sahara. Lake Sahara is one of the most lush and elegant man made lakes in all of Southern Nevada. 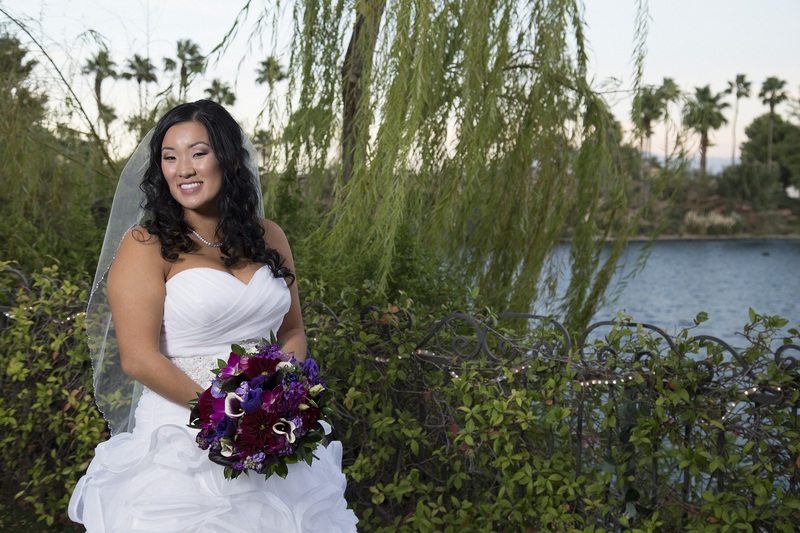 Despite elegance and an amazing location, there are numerous options for a simple Vegas wedding at Lake Sahara. Always and Forever Weddings and receptions is the best business to offer simple Vegas weddings at Lake Sahara. Always and Forever has a package for any prospective couple. Whether you’re looking for an elegant affair or a more simple wedding, Always and Forever has it all. If you’re looking to save money and stress and are interested in a wedding on a beautiful desert lake then Always and Forever is the perfect choice. Another beautiful wedding destination that is often overlooked by tourists and locals alike are the vast mountain ranges of Southern Nevada. There is a number of simple Vegas wedding packages available at the Red Rock Mountain Range. The Red Rock Mountain Range is one of the most beautiful mountain ranges in all of the South Western United States. This mountain range boasts a beautiful and deep red color that draws couples of all kinds. When it comes to a simple Vegas Wedding , the venue is as important as the cost and ease and you cannot go wrong with Red Rock Canyon. Another beautiful mountain range located just outside of Las Vegas is Mt. Charleston. Mt. Charleston is a beautiful mountain range with earthy and purple tones. It is the perfect choice for a simple Vegas wedding. There is a rustic and warming atmosphere at Mt. Charleston that is sure to feel homey to all. Another added benefit is the beautiful weather that can be found at Mt. Charleston year round. During winter time there is even a place at Mt. Charleston where you can ski and snowboard down the slopes. Finding winter sports that close to a desert town is truly magical. Mt. Charleston brings the magic to any simple Vegas wedding. Another wedding destination located just outside Las Vegas is Bonnie Springs Ranch. Bonnie Springs is an old Nevada mining town. It is one of the most popular ghost towns located in all of Nevada. Bonnie Springs is truly perfect for a simple Vegas wedding. It’s not only a beautiful little ghost town, but also a slice of how life was in Nevada centuries ago. It is a perfect wedding destination for any couple who wants a simple Vegas wedding that is also truly unique. Las Vegas is a big city with a lot to offer when it comes to wedding choices. If you’re looking for a simple Vegas wedding then you’ll have to look around a bit, and leave the strip behind. But while you’re looking you are sure to find some real gems. From Beautiful man made lakes to sprawling mountain ranges, there is something for every couple when it comes to simple weddings in Las Vegas.